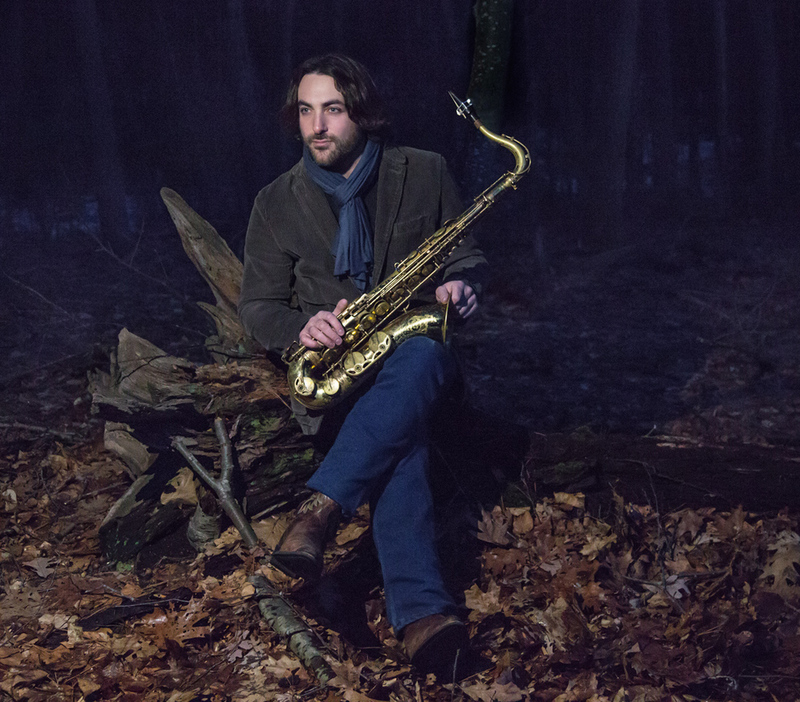 Tenor saxophonist and composer Noah Preminger is in the midst of a very busy time. Since the beginning of 2018, the Connecticut native has released three albums. 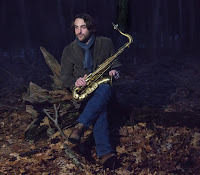 What connects them all is the probing mind, warm sound, and intelligence that the saxophonist has displayed since his debut "Dry Bridge Road" was issued almost 10 years ago. 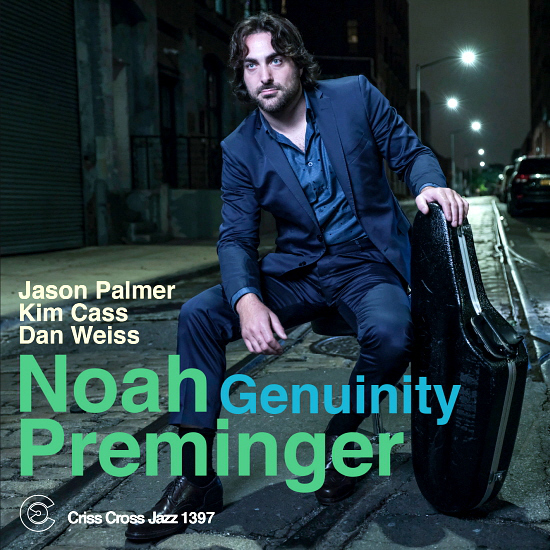 "Genuinity" is Preminger's debut release for Criss Cross Jazz. The recording features his "working band" mates of the past several years, trumpeter Jason Palmer and bassist Kim Cass. The newest member is drummer Dan Weiss and his presence gives the band and music ever more possibilities. This album moves away (but not all the way) from the political commentary of 2017's "Meditations on Freedom" or the blues influenced sounds of 2015's "Pivot: Live at the 55 Bar" and 2016's "Dark Was The Night, Cold Was the Ground." From the opening flurry of notes from the tenor sax on "Halfway To Hartford" to the jauntiness of the final track "Acknowledgement" (not the John Coltrane song from "A Love Supreme"), the nine original pieces are free from clutter and filled with ideas. 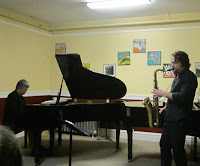 Palmer continues to be an excellent musical companion, his crisp tone, his ability to turn on the fire and then move easily back to softer counterpoint stands out on pieces such as "Nashua" and the barn-burning "Ah". One of the standout tracks is "Mad Town" where the tenor and trumpet weave lines in and out of each other, sometimes playing together and other times in a call-and-response. Cass is the foundation on that piece as Weiss interacts with the soloists throughout. It's a treat to soak in the Weiss's funky drums on "Ts and Her Spirit"; he keeps up the dancing beat all the way through, especially as Preminger and Cass trade lines back-and-forth in the second half of the song (yet pay attention to the delightful interactions between sax and trumpet before that. In juxtaposition to the funkiness is the only ballad on the recording, "My Blues For You." A song this slow can often be overplayed but Preminger and company never rush, basking in the deep bass notes and quiet drums-and-cymbals. Palmer's solo cuts against that grain, his combination of long tones, bluesy smears, and fast-paced phrases standing out. Preminger, too, mixes up the intensity, "crying" at times, throwing out quick riffs at other times, and "getting down" as well. There's much to enjoy delving into "Genuinity" and the music sounds great flowing out of the speakers. Such a clean recording (kudos to engineer Michael Marciano): you can hear everyone making it seem as if this was a "live" recording. Definitely alive! 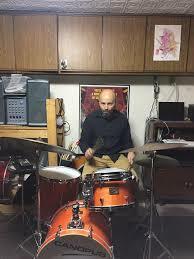 Mr. Preminger has joined forces with drummer Rob Garcia to create the Dead Composers Club, an ensemble dedicated to paying music by the "great" composers. Their debut recording is "Chopin Project" (Connection Works) and features the saxophonist and drummer joining forces with Preminger's bassist Kim Cass and guitarist Nate Radley on a 10-song program of "Preludes", "Nocturnes", and one "Etude" from the pen of Polish composer Frédéric Chopin (1810-1849). 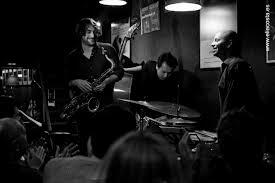 While the name of the quartet might be a touch snarky, the music combines impressive melodies with powerful rhythms and intelligent improvisations. It's true that you can hear may different influences (from progressive rock to John Coltrane and beyond), you cannot miss those Chopin themes. No matter whether you know the original music or not, it's quite impressive to hear what the quartet does. Listen to how Cass introduces "Prelude Opus 28 No 2 in A-minor", his "bouncing bass" line underneath Preminger's reading of the lovely melody. Garcia's cymbals and floor tom work colors the piece as do the quiet chords from Radley. The guitarist rises out of the saxophone solo to create a fascinating that rolls atop the bass and drums. Preminger plays through the melody on "Nocturne Opus 62, No 2 in E-major" and then Radley takes over with a handsome solo over the fine brush work and melodic bass. The guitar sound lends the song as "Americana" feel: there's also a hint of blues in the sax solo. Theres a playful nod towards "prog-rock" in the guitar chords and hard-hitting drums at the onset of "Prelude Opus 28 No 6 in B-major" - Preminger digs into the formal sounding melody before Radley steps out for a solo that builds off the melody. Pay attention to the great work of the rhythm section during the solos, to the counterpoint from the bass and subtly driving drums. Listen to how Cass supports and shadows the saxophone melody on "Nocturne Opus 32 No 2 in Aflat-major", his intelligent counterpoint supported by guitar chords that echo the melody and Garcia's sweet brush work. Instead of taking about every track, my suggestion is you sit down and really listen to "Chopin Project." 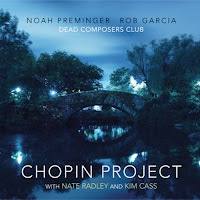 What Noah Preminger and Rob Garcia, along with Nate Radley and the sublime Kim Cass, have done is make one listen to Chopin's music with new ears. The musicians show respect to the original intent of the music but also illustrate how to make the pieces sound fresh and relevant to new audiences. For some of us, our introduction to "Try a Little Tenderness" was Otis Redding's demonstrably over-the-top live performances in the mid-1960s. No such histrionics here, just an impressive tenor saxophone introduction that takes up half the piece. When the piano enters, Preminger moves into the melody as Carlberg sets an easy pace. The pianist steps out for a short but sweet solo that moves in and around the melody. 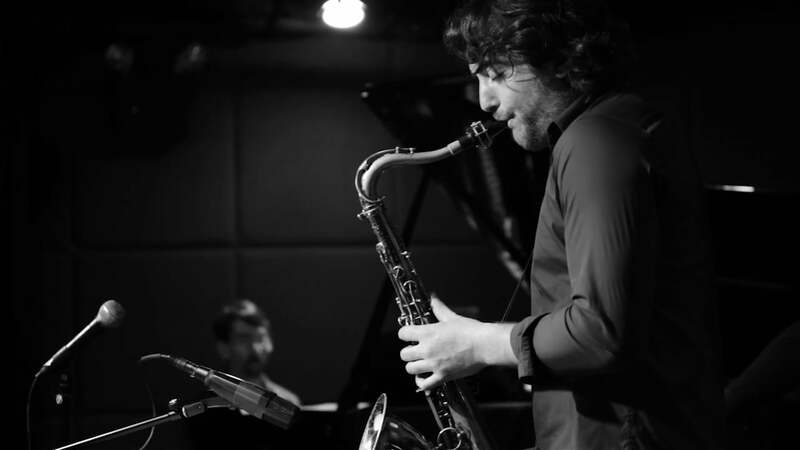 Since he first came to critical notice a decade ago, Noah Preminger has always had a knack playing ballads. From the get-go, his work on slower pieces displayed emotional depth along with lyricism. On "Embraceable You", he imbues the Gershwin melody with a blues sensibility, carrying all the way through. The pianist responds to the emotion of the music with a quiet solo that hews closely to the melody ands sets the tone for the return of the saxophonist and the gentle finish. 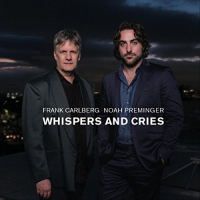 "Whispers and Cries" may take its name from the 1972 film by Ingmar Bergman (the duo turns the name around) but this is no chilly, metaphysical, paean to the dread and death that often occupied the Swedish director. 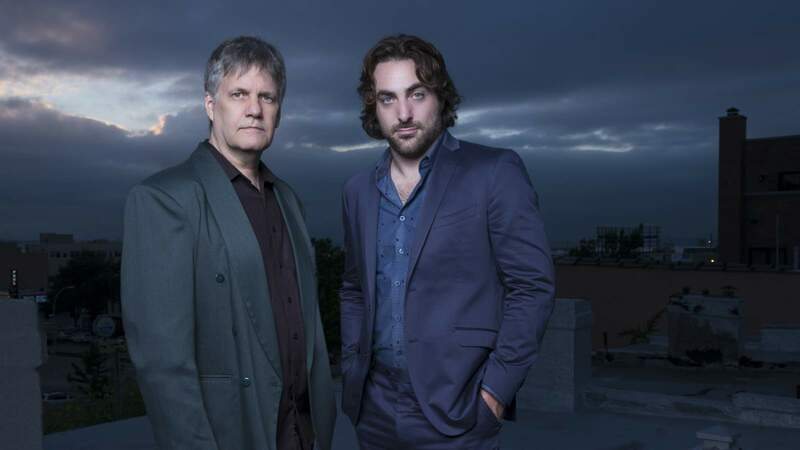 What Noah Preminger and Frank Carlberg did on the two days in July of 2017 in Boston's Jordan Hall is explore ten songs, listening to each other, reacting, prodding, pushing, interacting, giving each other space, caressing melodies, playing with rhythms, making music that touches the soul as it involves the mind. For more information, go to www.noahpreminger.com.